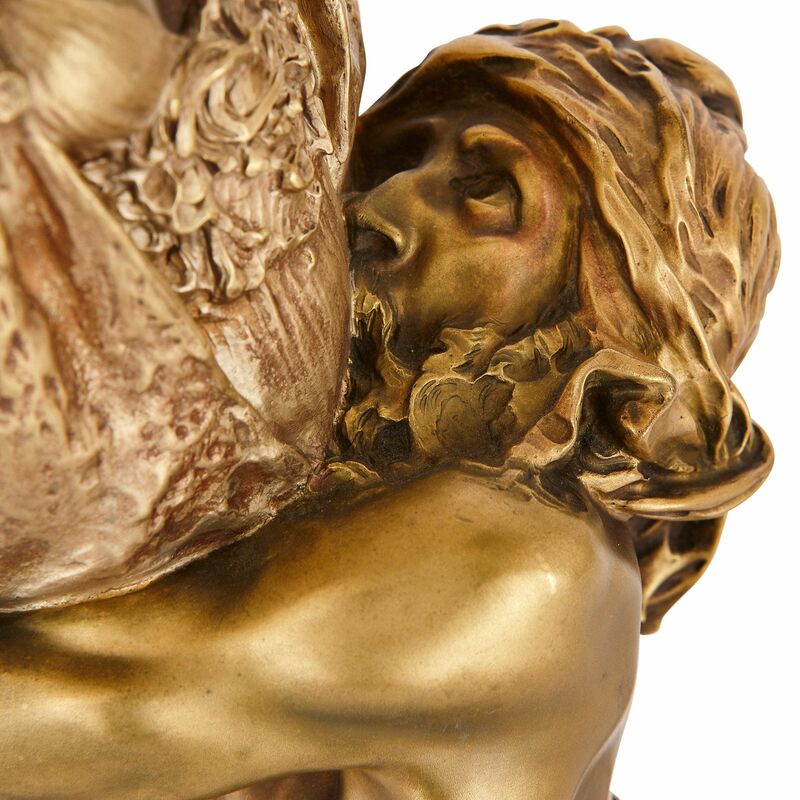 This fantastic ormolu sculpture, full of pathos and emotional energy, depicts the tragic denouement of Gustave Flaubert's masterpiece novel Salammbo. 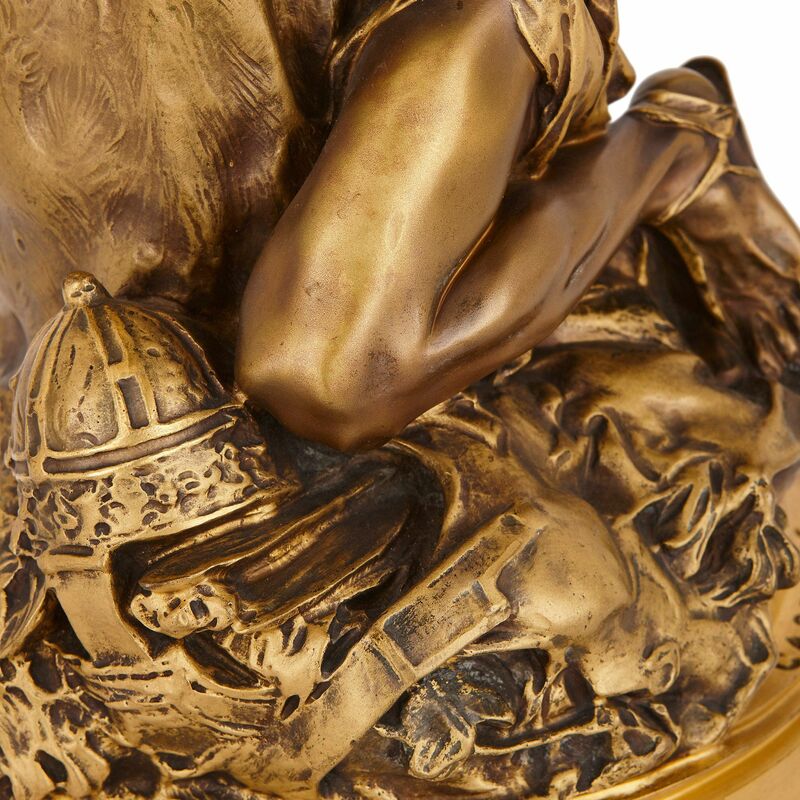 The gilt bronze group is the work of French sculptor Theodore Riviere (1857-1912) and was cast by the Susse Freres foundry (1839-1970s) and depicts a male figure on his knees, holding a standing female figure, on a circular ormolu plinth. The figures, both in Oriental style clothing, represent the characters Salammbo and her lover Matho from Gustave Flaubert's 1862 historical novel Salammbo. The novel is set in the 3rd Century BC, during the revolt in Carthage (in modern-day Libya), soon after the First Punic War (264-241 BC). Matho, a rebel chief, becomes enamoured of Salammbo, the daughter of Hamilcar Barca, the Carthaginian general. This sculpture depicts the moment when Matho is finally executed at Salammbo's feet. 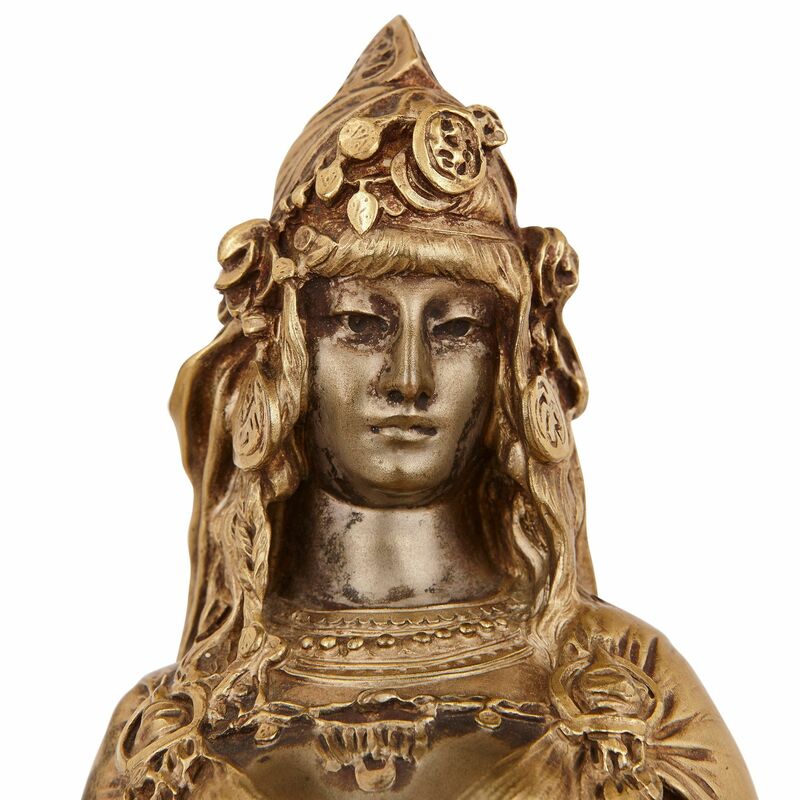 The story was a popular one among artists and makers of the late 19th Century, not least due to the figure of Salammbo, the epitome of the femme fatale. 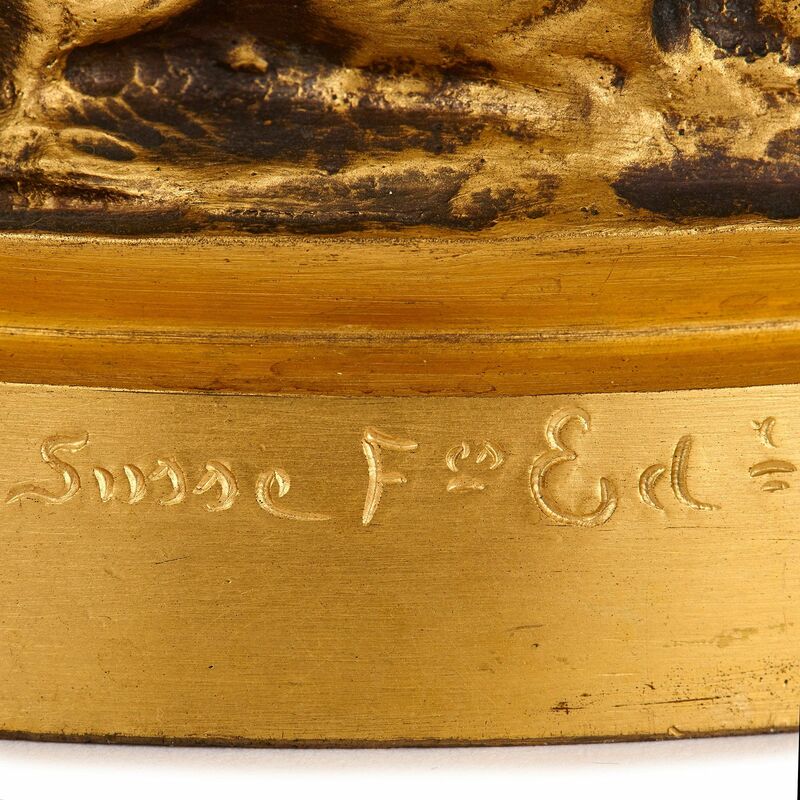 At the base of the figure, there are signatures for 'THEODORE RIVIERE', the sculptor of the piece, as well as for 'SUSSE Fres Edt', the foundry responsible for the bronze casting. 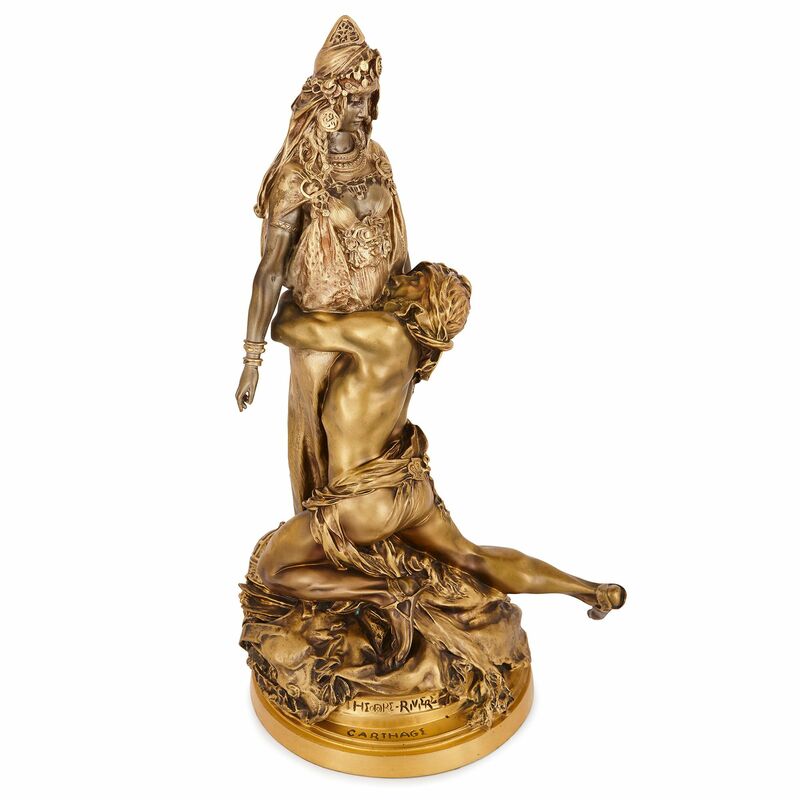 The original of this sculpture is currently on display at the Musee d'Orsay in Paris, where it has been since its exhibition at the 1895 Salon. 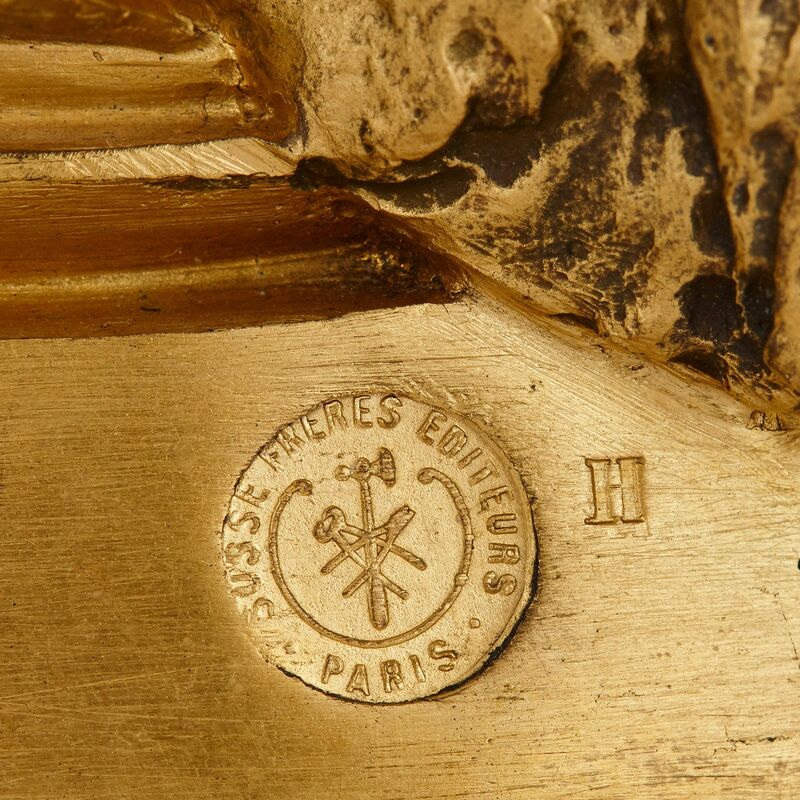 Pierre Cadet, Susse Frères: 150 Years of Sculpture, Paris, 1992, p.45. 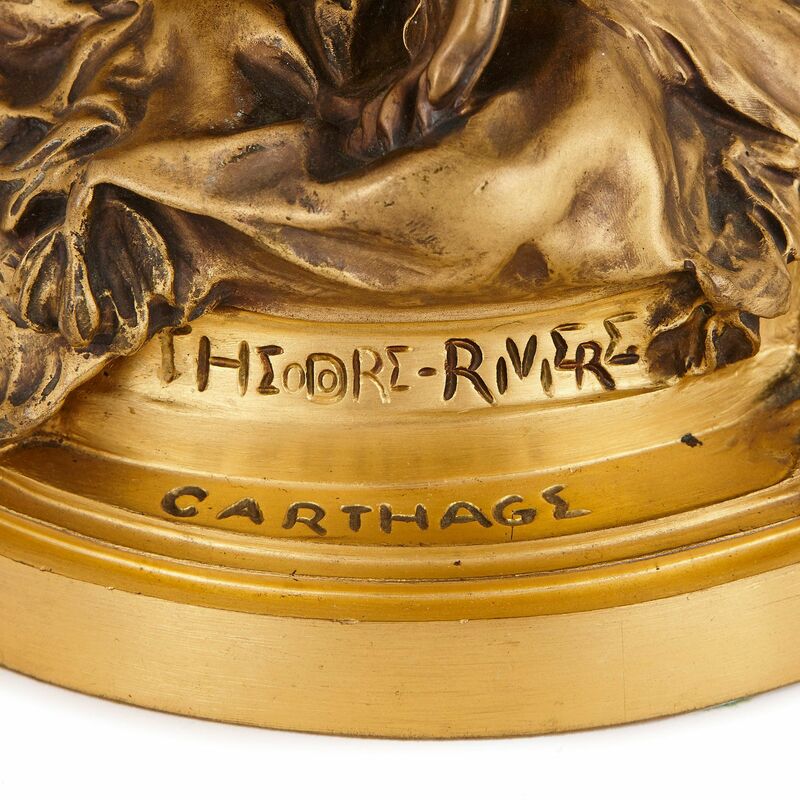 Stephane Richemond, Les Orientalistes: Dictionnaire des Sculpteurs, XIXe-XXe Siècles, Paris, 2008, p.188.